There are ten Democratic Senators up for reelection this midterm in states that Donald Trump won in 2016. This series analyzes the state of these races now that Republican challengers are in place. 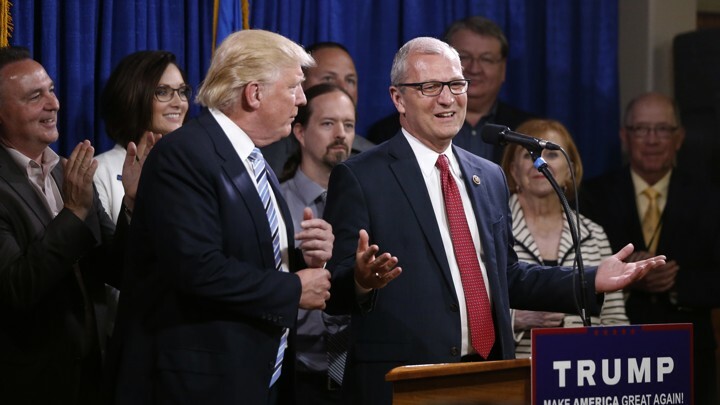 This piece focuses on North Dakota, where incumbent Senator Heidi Heitkamp (D-ND) is facing a difficult challenge from at-large Congressman Kevin Cramer (R-ND). Cramer, a native of Kindred, received a Bachelor’s degree from Concordia College in Minnesota and a Master’s degree in Management from the University of Mary in Bismarck. Cramer was elected to the House of Representatives in 2012 as North Dakota’s only Representative, and easily defeated Thomas O’Neill in the GOP Senate primary earlier this year. Heitkamp was praised by President Trump prior to the campaign. Trump called her a “good woman” during a September 2017 event and invited her to the White House in May for a ceremonial signing of a bank deregulation bill she co-sponsored. North Dakota has become a battleground of sorts for President Trump’s trade policy, particularly with China. Agriculture provides the economic foundation for the state with Soybeans being a major crop. Both candidates have released campaign ads exchanging blows over trade. Polls for the general election show a close race with some favoring Heitkamp (example here), and some favoring Cramer (example here), and all within the margin of error. Heitkamp’s vote on the confirmation of Brett Kavanaugh, provided the Supreme Court nominee receives a vote, is something to look for. Heitkamp criticized Cramer’s comments about alleged sexual assaults brought forth by Anita Hill (regarding Clarence Thomas) and Christine Blasey Ford (regarding Kavanaugh). Cramer initially described Ford’s allegations as “absurd,” and later clarified his belief it’s “hard not to be skeptical considering the timing and history of the allegation Brett Kavanaugh is facing.” Testimony by Kavanaugh and Ford will be a major focus of U.S. politics this week.